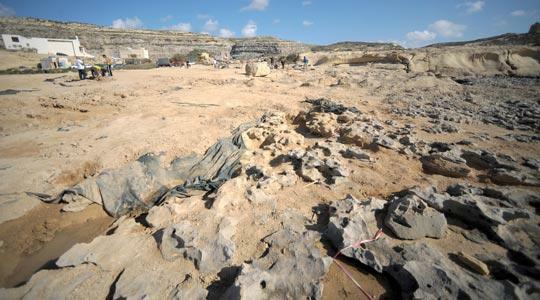 NGOs called it an environmental disaster and one expert claimed the Dwejra ecosystem was eliminated after it was covered with sand for filming. 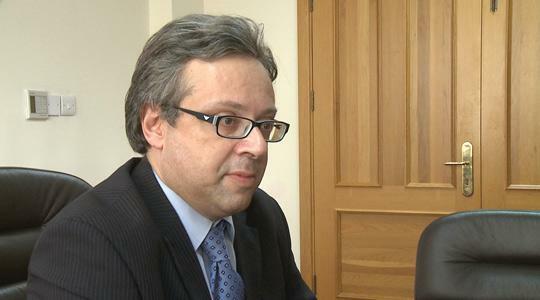 But the environment director of the Malta Environment and Planning Authority, Martin Seychell, tells Christian Peregin things are not as bad as they seem. What is your first impression after visiting Dwejra where sand was strewn over a Natura 2000 site for filming? The clean-up works are proceeding well and if all continues at this pace it should be completed by the end of this week or early next week at the latest. We could then proceed to identify whether there has been any damage or possible breaches of our permit conditions. But you have already said there were breaches. Some, yes. And the applicant has admitted publicly to them. But we obviously need to identify if there were other breaches. After seeing photos of the site, some experts have called this a “disaster” and an “environmental crime”. You’ve got a wealth of experience and you have now seen it for yourself. Have they exaggerated matters? Everybody has the right to comment but you cannot assess these issues from an armchair. There are three questions that need to be addressed. The first question is: should a permit have been issued in the first place? My opinion is that a Natura 2000 site is not a “keep-out zone”. Thirteen per cent of Malta’s land territory is Natura 2000 and, although it’s a subject one can discuss, I am not of the view that Malta can economically and socially leave out 13 per cent of its territory. But vehicles are not allowed there. They are not allowed on the rocks because they may cause damage. But we have to keep in mind that the whole aim of the Natura 2000 site is not to protect the rocks but the habitat and species. Not everywhere. The area where the filming was allowed to be carried out is a buffer area. Some people are under the impression that filming was carried out where there is vegetation or where there are other protected habitat. This is not the case. So you can confirm the sand was only placed on this buffer area? Our experts assure me, and they were on site today as well, the sand was not deposited on areas where there are important habitats or species. It is bare rock. So you’re saying they breached permit conditions but not the vital one of not putting the sand on the actual protected habitat. That would have been a major disaster. But what if that happened? Who would have been responsible? Responsibility for any permit issued by any regulatory authority, rests firmly with the person holding the permit. If I apply to build a house, Mepa gives me a permit and if I build it not according to permit I am held responsible. Yes, but doesn’t Mepa take extra precautions when it comes to such places? Of course we do. If you were to apply to build a house I wouldn’t send monitors. So what sort of damage could have been done? What are you going to assess? There could have been damage to the rock. We also want to see the applicant assume responsibility if a complete clean-up is not feasible. We have to see, physically, whether all the sand can be removed or whether some will have to stay and disappear over time. We would like to avoid aggressive methods of clean-up... The second point is whether the permit conditions were sufficient. And do you believe they were? The bank guarantee is not the answer to everything. First of all, the guarantee does not absolve the permit holder from any criminal or civil liability in terms of damages. Yes, but it makes things easier than taking them to court. Indeed, because what happens if the filmmakers fail to inform you two weeks before they carry out works, as per your conditions? There were also other conditions. There was supposed to be an impermeable cover below the sand. Environment management expert Alfred Baldacchino has argued that whether there was such a cover or not, the sand itself could not have left space for the ecosystem to breathe. There is no ecosystem on bare rock. This is the reality. Mr Baldacchino is a former assistant director, we worked together for a number of years and I respect his opinion but I can’t agree with him on this. Because it’s just bare rock, where people walk freely, where divers kit and deposit their aqualungs. This is all creating an impact... It would be another issue if this were done on vegetation. In itself, this should not have been an unmanageable impact. But once the layer was not impermeable, obviously it is making the clean-up more difficult. What about the fact that the sand was not beach sand but aggregate hardstone? We definitely would not have allowed the transport of beach sand from anywhere else. Well, we are generally against the principle of introducing alien materials. Because the whole issue is that if you introduce material that is completely foreign to the ecosystem and you are not able to remove it completely, that could introduce other problems. So, geologically, the material was not too difficult to handle. The problem is it was not kept isolated from the rocks. And that is a problem attributable to the contractor, not to Mepa. We made it very clear in the conditions that the filming had to be carried out on top of an impermeable cover. In retrospect, are there any conditions Mepa regrets not being strict enough? I would like you to answer about the bank guarantee, which the NGOs have described as “ridiculous”. The €15,000 is a rolling bank guarantee. So if any of it is withdrawn, it must be topped up. So, if in the course of filming in a number of locations, two or three infringements happen, that sum of €15,000 can be withdrawn two or three times. OK, but what’s €30,000 in this context? I assure you they will contest it. No one is going to pay up and say it is an insignificant amount of money. Having said that, it is not a substitute for any further legal claims Mepa is entitled to make in court. So you wouldn’t raise that bank guarantee next time? It depends. We have to keep in mind the film industry is competitive. If I were to impose a bank guarantee of half a million euros, what you’re effectively saying is “don’t film here”. But what is your job? To make sure the filmmakers stay here or to make sure the environment is protected? My job is to protect the environment but the environment does not exist in isolation. I always argue that if the economy is not doing well, the environment is the first casualty. The challenge is to make sure the Natura 2000 sites are conserved and protected while adding value to our economy, whether it is sustainable tourism, agriculture or filmmaking. This saga began when the filmmakers used heavy machinery to remove the sand. And we stopped them immediately. I was informed by an inspector that heavy vehicles were used on October 29. He told me he stopped them immediately and I confirmed the order on the same day within the hour. And since the 29th and a few days earlier, cleaning was being carried out largely manually and now it’s completely manual. And it’s taking very long. Our main concern is not the speed but that work is done properly. It’s the filmmaker and his local agent. And are they being cooperative? They are being cooperative, yes. We are having regular communication. I’m receiving reports from my inspectors daily as regards progress. Well that’s an issue for them. We don’t deal with the subcontractor. We deal with the permit holder and the permit holder is required to keep any subcontractors under control. If next week or next month a film company makes a similar request to throw aggregate hardstone on Dwejra buffer zone what would you do? Well, I think the first thing to do from every experience is to take stock and learn. After this, one has to do a bit of a post-mortem. We are already looking at technical solutions on how we can beef up our consent conditions to minimise the risk of something going wrong. One could consider the use of a raised platform on the site, covered by an impermeable material and build a kind of stage. Obviously, it’s a technical issue. So, probably, you would allow it under stricter conditions? My first reaction is that until we know what went wrong I am not going to allow anything. But there is no intention of turning Dwejra or any other site into a no-go zone. Because then I might as well stop tourists and divers and just leave it to nature, but that’s not the point of Natura 2000. When Mr Baldacchino says this was the total elimination of an ecosystem, I imagine you don’t agree with him? Definitely not. I mean the ecosystem is the Dwejra special area of conservation as a whole. This is a very small part of the SAC and it is a buffer zone. To say the whole area has been obliterated is not the case. We will be inviting the media and NGOs to come with us on the spot to see for themselves. But although you don’t agree with this, you still feel the need to assess the situation? Definitely. Given that it is likely for us to have more applications in Dwejra, we need to see if there are any specific conditions for this locality. Filmmakers are worried this has shed such bad light on them they will suffer. The filmmakers are worried. But they also have to respond. They have to cooperate with us: explain how their industry works and what is feasible but realise that these areas are an important asset for them and for us as a country. And we can’t allow a single film to prejudice a location. The golden principle is that filmmakers should leave the area as they found it. At the same time your message to the people who are worried about this whole incident and calling it a disaster is that it’s not as bad as you thought. I’m not angry but I think we should learn from this. And I think people can be a bit more constructive. It’s very easy to say no permit should have been granted. We can do that. But it means killing off an entire industry. I don’t agree because I don’t think it’s in the environment’s interest to be seen as anti-economy. That is a wrong strategy. If the economy does well, the environment usually does better. I’m sure the area will recover fully from this. The habitats in the area have not been affected.